Interpretation may vary from one manufacturer to another. It is an arbitrary term used to describe or define a degree of filtration. The filtration industry uses various methods of determining absolute rating, which are not necessarily interchangeable. 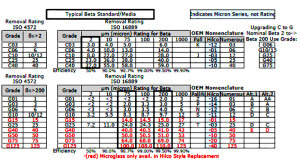 Generally, absolute references 100% removal of solids above a specified micron rating on a single pass basis. 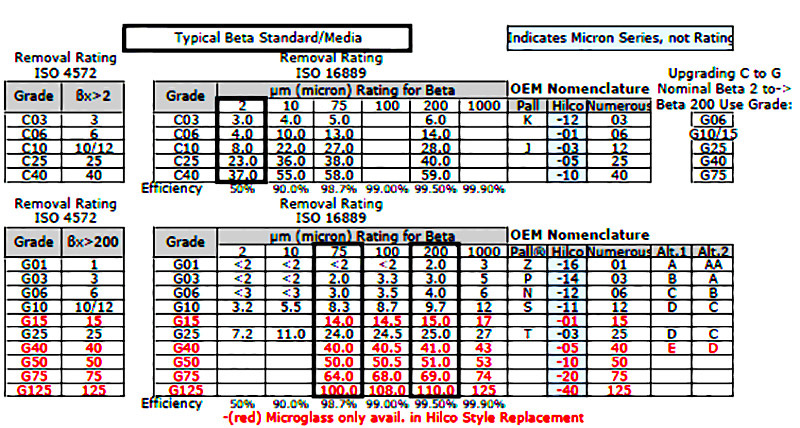 An absolute rating of 5 microns means no particle 5 microns or larger will pass through the filter. To clean a filter element by reversing the direction of flow through it. Compares the number of particles upstream (before the filter) to the number of particles downstream (after the filter) ofa certain size particle. 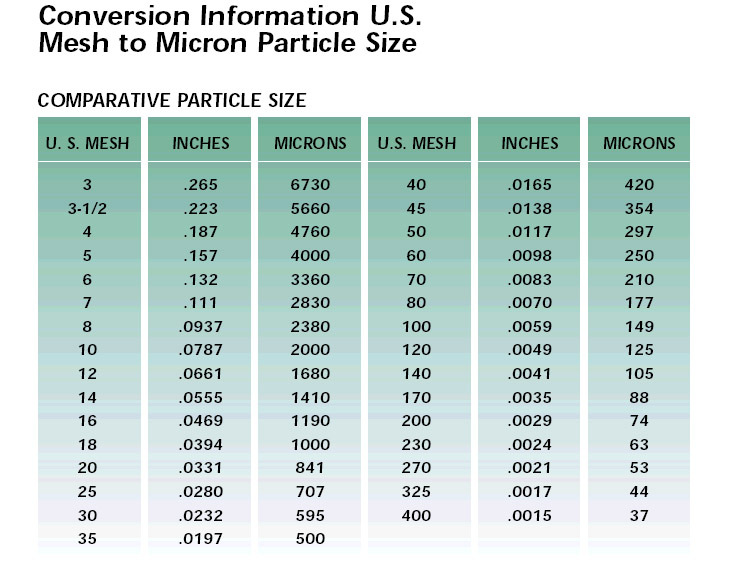 For example, B10=20 means when looking at particles of 10 micron or larger, there is a ratio of 20 to 1 when comparing upstream to downstream particle counts. A filter type device that allows air to freely move in and out of the reservoir as the fluid level fluctuates. Built-in. Contamination that is in brand new hydraulic systems before they are in use. For example, burrs, chips, dust, fibers, sand, moisture, pipe sealants, weld splatter, paints, flushing solutions. Ingressed. Contamination that is added to the system during servicing or maintenance or enters the system from the outside. For example, new oil and its container, components being repaired or replaced, air entering the breather on the reservoir. Internally generated. Contamination created by the moving components within the system, which are produced by wear, surface fatigue, cavitation, oxidation, or decomposition. Every internal moving part within the system can be considered a source of self generated contamination for the entire system. Filtration accomplished by flowing a fluid through a mass filter media providing a tortuous path with many entrapments to stop the contaminates. The volume of contaminate an element can hold before the reaching the maximum allowable pressure drop. Volume will vary depending on the size and design of the element and the density of the solid particles. Also called solids retention or solids holding capacity. A depth element that is constructed of two different medias. A measurement of the average size of the pores of the filter medium. The material a filter is made of. 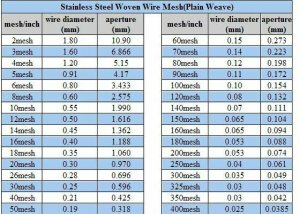 Stainless steel, cellulose, synthetics are examples of media. 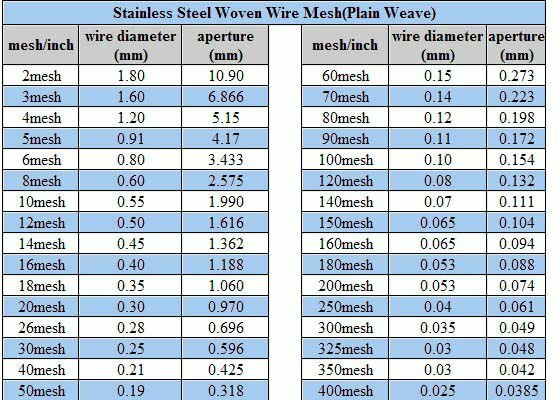 Rating system used on filters and strainers made from woven wire. Represents the number of openings per linear inch. Means the same as “micrometer” and represents the metric measurement, one millionth of a meter. A method of rating filters for their ability to trap particles. 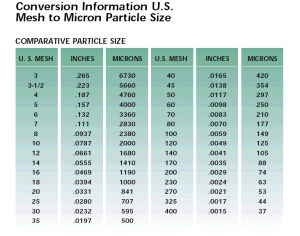 A nominal rating of 10 microns means the filter will trap mostly the particles that are 10 microns or larger. Based on the mean flow pore size. Often called “Delta P”. Represents the change in pressure from the inlet to the outlet, which is proof that there is a resistance to flow. Therefore, a fine filter would have a higher pressure drop than a course filter. Total area of an element that is exposed to approaching flow. Say bolt Universal Seconds. Common method of measuring a fluid’s viscosity at various temperatures. 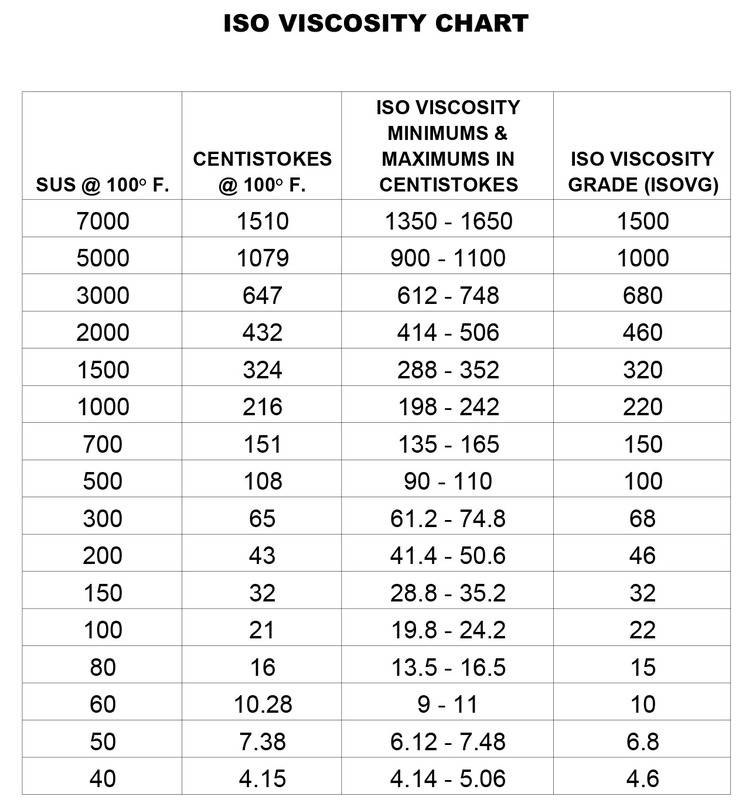 Industrial hydraulic fluids are generally measured at 100° F. Also referred to as SSU. Represents the fluid’s resistance to flow (the thickness of the oil). 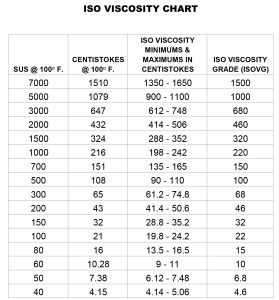 In hydraulic oils, the viscosity is commonly measured in SUS.